The Minnesota Legislative Manual, 1963-1964. Minnesota Secretary of State. n.d., 488 and 514-17. 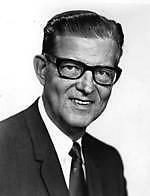 Description Minnesota's last governor elected for only a two year was Elmer L. Andersen, 1961-1963. The 1962 election was held November 6, 1962, but the results were not known until March 21, 1963 because of a recount. With almost 1.3 million votes cast for governor, Rolvaag won by 91 votes (0.07%) over Elmer Andersen.